In a previous post I gave you a list of 85+ Free Killer Resources Every Designer Should Know, which had a great response. Now, in the same line, I have brought together 45 Freeware Design Programs among literally thousands and thousands. It was a great quest, and it was worth it. No, it won’t replace your fancy CS3, nor Flash, nor 3D Studio Max. Some of them are pretty decent alternatives, not only for those who are not willing to spend the big bucks, but also for those who need some specific tasks done, like resizing a batch of picture without needing to run the almighty Photoshop. Personally, I also find them quite useful when friends & family or clients (or any non-graphically skilled person) ask to do minor/boring tasks (like reducing a red eye). Well, you can hand them one of these apps that can do the trick with a minor learning curve so they will be pleased and you will be relieved. Hope you can find some gems among them. GIMP (GNU Image Manipulation Program) is a freely distributed piece of software suitable for such tasks as photo retouching, image composition, and image authoring. It is a powerful piece of software with capabilities not found in any other free software product. Note: You will need to download both GTK+ Runtime Environment and The Gimp installers. Install GTK+ before installing The Gimp. Transfer, find, organize, edit, print, and share images, all with this easy-to-use product. Watch Picasa automatically organize all your pictures into elegant albums by date. Having all your photos in one place means no more time wasted searching for folders or files. The program works with JPEG, GIF, BMP, PSD, and movie files and is compatible with most digital cameras; it detects your USB driver and imports pictures into albums. Editing tools include cropping (standard or custom), removal of red-eye, and enhancing–even switching from color to black and white. Create slide shows set to your MP3s. Integration with Picasa’s free Hello instant picture-sharing software lets you share hundreds of photos in seconds and chat in real time. Ever tried using a color picker on a high resolution monitor? It’s impossible. That’s why this color picker has a magnifier attached. Grab palettes of up to 16 colors at once and use four advanced color mixers to select a spectrum of possibilities. Ever needed to see what’s going on the screen down to the pixel level? That’s where the Magnifier comes in. Simple and easy to use, the Magnifier is always handy for when you need to see all the details. Magnifier has the following features: no popup adverts or spyware, easy to use with any other program, resizable magnification area, adjustable zoom factor, overlay a grid. Create thumbnails and scaled copies of all your images. With Easy Thumbnails, you can find and process images individually, in groups, or in whole folders using a simple file selector and built-in image viewer. Use slider controls to rotate images and adjust contrast, brightness, sharpness, and other attributes. Thumbnails can be created in any existing folder or a new folder, and you can identify them clearly by adding a prefix or suffix to their names. FastStone Photo Resizer is a free image converter and resizer intended to enable users (especially digital-camera owners) to convert, rename, resize, crop, rotate, change color depth, add text, and watermarks to images in a quick-and-easy batch mode. The application supports major graphic formats including BMP, JPEG, JPEG 2000, GIF, and PNG. Drag-and-drop mouse operation is well supported. ImageDiff is a pixel by pixel image comparison tool. ImageDiff allows you to compare two images side by side, and see a difference mask showing you the exact pixels that have changed. Features include: Compare images of different formats, including JPG, GIF, BMP, and TIF, PNG. Compare images of different proportions and imageDiff will scale and calculate the difference automatically. IrfanView is a fast and compact image viewer/converter. It tries to be simple for beginners and powerful for professionals. Many supported file formats and features. Features include: multi-language support, Thumbnail option, slideshow, toolbar skins, fast directory browsing, batch conversion/editing, multipage editing, file search, change color depth, scanning, cut/crop, IPTC edit, capturing, lossless JPG operations, effects (sharpen, blur, Adobe Photoshop filters), EXE/SCR creating, many hotkeys, command line options and plugins. FastStone Image Viewer is a fast, stable, user-friendly image browser, converter and editor. It has a nice array of features that include image viewing, management, comparison, red-eye removal, emailing, resizing, cropping and color adjustments. Its innovative but intuitive full-screen mode provides quick access to EXIF information, thumbnail browser and major functionalities via hidden toolbars that pop up when your mouse touch the four edges of the screen. Other features include a high quality magnifier and a musical slideshow with 150+ transitional effects, as well as lossless JPEG transitions, drop shadow effects, image annotation, scanner support, histogram and much more. It supports all major graphic formats including BMP, JPEG, JPEG 2000, GIF, PNG, PCX, TIFF, WMF, ICO and TGA. Alch Icon Suite is a powerful icon editing studio this small application is extremely easy to use and has a range of effects that can be applied to icons. Not only can you edit any existing Windows icons (16×16, 32×32, 48×48, 64×64) you can create your own icons quickly and effectively. Users have reported the presence of the virus “win32 adload.aw” in this program. Download for this app is not supported any more. Thanks for the help. Inkscape is an Open Source vector graphics editor, with capabilities similar to Illustrator, Freehand, CorelDraw, or Xara ,m using the W3C standard Scalable Vector Graphics (SVG) file format. Supported SVG features include shapes, paths, text, markers, clones, alpha blending, transforms, gradients, patterns, and grouping. Inkscape also supports Creative Commons meta-data, node editing, layers, complex path operations, bitmap tracing, text-on-path, flowed text, direct XML editing, and more. SmoothDraw NX is an easy yet powerful freehand drawing tool. It’s a limited yet free version of SmoothDraw. It produces the most smooth and expressive stroke through your tablet. It also smoothes mouse input for who don’t have a tablet. SPRAY vector generator is intended to produce helper objects for vector illustration software like Xara X, Corel Draw, and Adobe Illustrator. You can easily generate a huge number of circles with random position, fill, outline color; random paths, grids, and rays. You can then place generated objects in your favorite illustration app using the clipboard. Developed for Xara X but also works with Corel Draw or Adobe Illustrator. ParticleDraw is a novel windows drawing program powered by a state of the art general system simulation engine. The brushes are dynamic systems of particles with interesting behaviours, which you can completely customise. Each brush is intricately tuneable with many underlying physical parameters and one can construct arbitrary systems of particles and use these as brushes. InsightPoint creates sophisticated illustrations and layouts for Web and print. When it comes to spelling out and sharing your ideas as text and graphics, InsightPoint is the fastest and easiest way to get you there. Built on top of XML technologies, comprehensive object-oriented vector design tools, trivial learning curve, and smooth drawing experience. Unleash your creativity with Serif’s powerful drawing and graphics software – at no cost! You’ll be amazed how easy it is to create high quality graphics and animations without having to spend hours designing, or pay for expensive training. This is a free program for PC, developed in VB by special fx artist, animator & novelist Dan Ritchie, and made available for free downloading and use. (Not for resale without express written permission – please contact Dan if you wish to include a copy of his software with your commercial products.) Any non-commercial distribution is fine; that includes placing it on cover CDs with magazines and books. AmitySource Userbar Generator is an easy-to-use program for generating unique and attractive userbars. With it you can create nice-looking userbars within five minutes and without any technical or artistic knowledge. It has everything you need for creating personal userbars: you can choose colors, special effect, pattern, a glow effect, an overlay image for your composition. AmitySource Userbar Generator allows to save the created userbar in different popular formats. Terragen is a scenery generator, created with the goal of generating photorealistic landscape images and animations. It is available for Windows and the Mac OS. At this stage in its development, Terragen is free for personal, noncommercial use. Although Terragen is a continually evolving work-in-progress, it is already capable of near-photorealistic results for professional landscape visualisation, special effects, art and recreation. uMark Lite enables you to add a text or image watermark to your digital photos. You can choose from 9 pre-defined watermark placements, set a custom font, size, and color, as well as opacity levels. The freeware version can batch process up to 50 images in a single run. The watermarked images are saved in a new folder, so your originals remain unchanged. 50 images at a go, adds uMark Lite watermark. TouchArt Sampler is a great way to learn the art and skills of performing live visuals and VJing. TouchPlayer and 21 interactive 2D and 3D animations (synths) are included in this sampler. Touch lets you manipulate visuals in real-time, giving you control of various parameters like lighting, color, textures, motion, video playback, and composing. Play some audio and you can sync visuals to the BPM. Synfig Studio is a vector based 2D animation program. It is designed to be capable of producing feature-film quality animation. It eliminates the need for tweening, preventing the need to hand-draw each frame. Synfig Studio features spatial and temporal resolution independence (sharp and smooth at any resolution or framerate), high dynamic range images, and a flexible plugin system. AnimPixels is an animated movie software specializing in Isometric Pixel Art. Use your own movie components, or download them from the Web, to create an original pixelized animated movie. Download the free AnimPixels animation software. No evaluation period or limited feature. LOOXIS Faceworx creates a 3D head out of two standard 2D photos. You need two well illuminated pictures; one from the front (mugshot style) and one from the side. 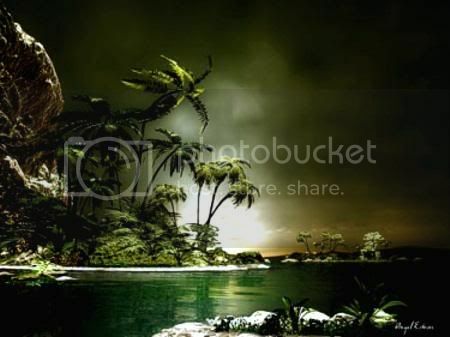 Create breathtaking realistic 3D landscapes and animations with DAZ 3D Bryce. The easy user interface simplifies the design process for a novice or the seasoned professional. Start out building or importing a landscape as impressive as the Grand Canyon. Populate it with buildings, people or any other object you create or from the extensive DAZ 3D library. The Light Lab provides you robust control over your sunsets, moonlight nights or high-noon ambiance. You wont find any free download link for the Bryce 5.5 at the official site, because the download is provided via download.com. A direct link to the program @ download.com is provided below. Google SketchUp is a free, easy-to-learn 3D-modeling program with a few simple tools to let you create 3D models of houses, sheds, decks, home additions, woodworking projects, and even space ships. You can add details, textures, and glass to your models, and design with dimensional accuracy. 3D Canvas is a real-time, 3D modeling and animation tool that incorporates a drag-and-drop approach. Complex models can be constructed from simple 3D primitives or created using 3D Canvas’s object-building tools. Creating an animated scene is as simple as positioning the objects within your scene for each point in time in your animation. 3D Canvas will ensure the resulting animation runs smoothly. Version 7.0.1.2 adds support for Windows Vista. 3D Box Shot Maker is an easy and FREE tool to virtually design quality box shot for your software box cover. It is important to present a professional boxshot to entice your potential customers to take a closer look at your products. An impressive box shot will make your software outstanding, and easily defeat your competitors from the start. Alibre Design Xpress 3D solid modeling software delivers the features you need to get started with 3D design and tackle projects for your business or workshop. Alibre Design Xpress is a rich and capable 3D solid modeler for creating parts, assemblies, and 2D drawings. Flash Slideshow Maker is a slide show Flash tool that helps you display photo album and slideshows on your web site. With dozens of preset themes, you can easily make XML driven photo galleries for websites. Flash Slideshow Maker is a template-based Flash authoring tool. You don’t need to know anything about XML or FLASH coding, there are only three simple steps to build a Flash photo slideshow. Each template can be customized, so the slideshow can easily be styled to match your own website design. LiveSwif Lite 2 is a free Flash maker that lets you create Flash movies, buttons, or banners quickly and easily. It provides several classic vector drawing tools, including Freehand, Curve, Shape, Spline, Contour, and an in-place text editor. LiveSwif is a typical, keyframe-based animation system. Based on the capability of drawing tools, it provides a path-motion and transform-motion tool. In setting a new position, angle, size, or color in keyframes, LiveSwif will blend the in-between frames automatically. The setup package contains 500 library components. Sothink SWF Catcher for IE is a free and useful extension to Internet Explorer that enables you to save multiple Flash based charts, presentations, e-cards, games and Flash movies in it at one time. The small size allows it embedding in IE by just adding a new button. With only few clicks you can store your favorite Flashes easily. Browse installed and uninstalled TrueType fonts, viewing sample text, individual characters, and detailed font information. Easy font-management functions let you install, uninstall, print, copy, or delete any number of fonts at once. You can even store your own notes with them, filter them according to type (serif, sans serif, and so on), and group them into collections for convenience. This version lets you choose your font colors, set up drop-down lists of standard text samples, rename font files to avoid conflicts, and load fonts temporarily for use without installing them. FontRenamer renames TrueType font files (*.ttf) with the real name of the typefaces. Simply select a folder of font files and click Rename button. ‘Arial bold italic.ttf’ instead of ‘arialbi.ttf’ or ‘Brush Script.ttf’ instead of brushscn.ttf’. FontRenamer is available in English and German languages (auto detection). Plugin creates new PDF file which contains font names, parameters and recoding tables ToUnicode and xlatTable. Version 1.1 may include unspecified updates, enhancements or bugs fixes. Do you take photographs, own a digital camera or work in multimeda or design? This user friendly tool was created specifically to batch process images quickly, applying flexible resizing methods, rotation, cropping, scaling, watermarking, renaming and more. As a multimedia designer Digital Image Tool has come in very handy…..we made it originally for use in-house but decided to put a little more effort into the program and release it for free to the public! Quick HTML Color Picker is a free Windows color picker tool. With Quick HTML Color Picker, you can easily pick any color from the screen. You can preview the color, use mouse or keyboard to select the color you wanted, and get the color in RGB and HTML format. You can cancel a capture by “Esc” key or right-clicking. Supports saving HTML color value to clipboard automatically. This small application performs a small, but needed function. It captures your desktop in several handy ways. Capture the entire desktop screen, the entire desktop work area, capture using your mouse by creating a rectangle, capture an entire window, the entire window work area, capture any active window with key stroke (Ctrl + F2).